Item # 304743 Stash Points: 1,195 (?) This is the number of points you get in The Zumiez Stash for purchasing this item. Stash points are redeemable for exclusive rewards only available to Zumiez Stash members. To redeem your points check out the rewards catalog on thestash.zumiez.com. 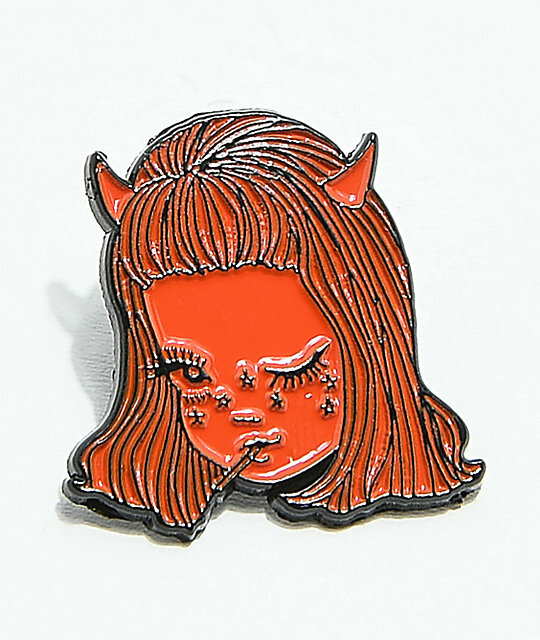 Step up your pin game with the soft enamel Lucy Pin from Valfre. If you're wondering, Lucy happens to be the femme counterpart to Lucifer. Support this psychedelic and edgy LA-based, Latina-owned company while enhancing your unique style. Soft enamel pin (raised metal).